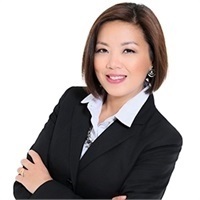 Linda Tjiputra is a CERTIFIED FINANCIAL PLANNER™ practitioner. Linda has been an Advisor for 17 years. Linda also helps individuals and families in the accumulation phase. She has a bachelor's degree in Chemistry from the University of Indonesia and an MBA from Golden Gate University. Linda's California insurance license number is 0C74439.